Felder Rushing is an 11th- generation American gardener who has traveled to all fifty states (lectured in 36) and across five continents looking for interesting gardening angles to share via his extensive lecturing, writing and broadcasting. The graduate horticulturist and free-thinking university professor has written syndicated newspaper columns for 38 years and hosted a live radio program for nearly that long, including 15 years now as the weekly host of The Gestalt Gardener, one of National Public Radio‘s most popular gardening programs. Felder is a Real Ale guy. Felder has written 18 gardening books including several national award winners, including Passalong Plants which was honored by the Garden Writers Association as the “best written” in the county when it was published. His articles and photographs have appeared in countless magazines, including Fine Gardening, Landscape Architecture, Better Homes and Gardens, Horticulture, Garden Design, Organic Gardening, and the National Geographic; his garden has been featured in many. Southern Living magazine named Felder as one of “25 people most likely to change the South.” The distinctly non-stuffy longtime board member of the American Horticulture Society, Fellow of the Garden Writers Association and past president of several garden organizations including his state’s native plant society, Felder is the original Q&A guy for HGTV’s garden website, and has been featured in three full-length articles about his exploits and philosophy in the New York Times, most recently for being the founder of Slow Gardening®. When not traveling coast to coast with lectures, he splits his time between his celebrated Mississippi cottage garden and a Victorian terrace house herb garden in Lancashire, England. Contact Felder for any garden-related question or lecture inquiry. 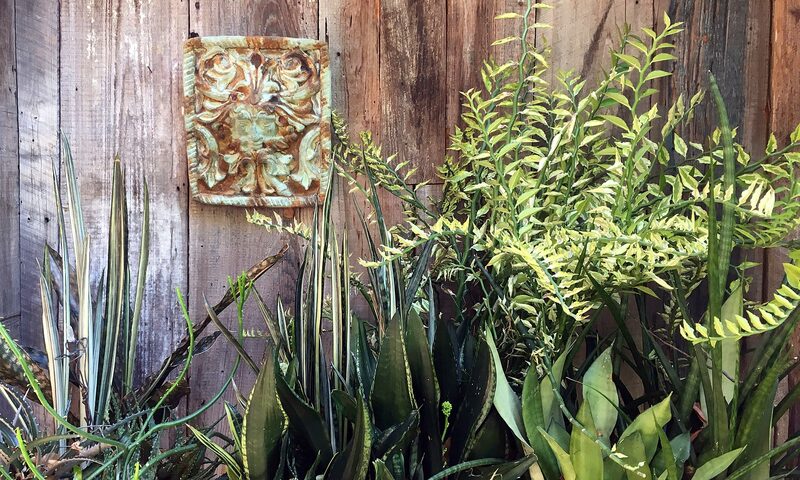 If you have a minute or two, check out HGTV’s feature on my little “gallimaufry” garden! Addendum: What’s with the 11th-generation thing? The oldest traceable Rushing in this family line was originally from the Isle of Man in the Irish Sea, enslaved and shipped to America in the early 1650s after being captured by Oliver Cromwell’s soldiers near Worcester during the English Civil War. The Felders immigrated from near Zurich, Switzerland in 1735; one is a much-celebrated Revolutionary War hero whose two name-inscribed cannon are on display in Orangeburg, South Carolina. Both families began moving as pioneers in the late 1790s to what is now south Mississippi. The Boyers (Felder’s mother’s side of the family) came to the Mississippi Delta from Pennsylvania in the 1840s, but were originally part of a Bavarian German immigration to America in the 1720s. Another group in the family’s direct lineage were the 1635 immigrant Swayzes, who immigrated in 1635 from Bridport, Dorset, along England’s south coast. The family was among the original “Jersey Settlers” who sided with England before the American Revolution and moved as pioneers to the Natchez area by 1773. I will post a blog soon with photos I’ve taken in all these ancestral home sites. Meanwhile, on a very personal note, my son Ira, a former US Marine sergeant and now an Army JAG officer, is the 12th direct-line generation Rushing to serve proudly in American armed forces. His wife, Stevie, is also a hot-shot lawyer. I am currently collaborating with my daughter Zoe, a creative and in-demand pet portrait artist, who is working on paintings of “vernacular yard art” for my next book.